The first and most important thing to do when you are trying to raise your credit score is to make sure that you are making your payments on time. You should also be paying off any old debt that you have as quickly as you can. The sooner you are able to pay the debt the better because you do not want to deal with those high-interest rates. It is also important to avoid increasing your balances on any other accounts that you might have open. You want to have a low debt to credit ratio. This will ensure that your credit score is not going to drop any lower. If you want to start adding points to your credit score, you have a few options. You can take out an installment loan based on money that you have in the bank. Pay the money back to your account, which is essentially paying yourself, and you can start to boost your score. Taking out a secured credit card can do much the same thing. You should also get a copy of your credit report. You want to read the report carefully and see if any of the items on it are disputable. If they are, you can contact the credit bureaus and request removal of those items. By eliminating some of the negative items on your report, you will be able to raise your credit score quickly. It may take some time, but with diligence and on time payments, you will be able to raise your credit score. Make sure that you always pay your bills on time, and never borrow more than you will be able to pay back. These are the most important things to do if you want to be able to improve credit. It is important in today’s world to have a good credit score. If you have less than stellar credit there are some ways to improve your credit score. There are three major credit reporting agencies in the United States. All your credit information is sent to these agencies. Each agency develops your credit score based on this information. It is important to understand that your credit score is a fluid number that can fluctuate from month to month. The first thing to do when you want to improve your credit score is to get copies of your credit reports from all three agencies. Review your credit reports to see where your credit problems are. In some cases, there may be some mistakes with the information on the report. Correcting mistakes on the report is the fastest way to improve your credit score. You will need to file a dispute and alert the credit company that there is a problem. Then, you’ll need to work with the company to resolve the issue. Once the problem is resolved it will be removed from your report and will help increase your score. One of the best ways to improve your credit score is to pay all of your bills on time. The most important bills to be concerned with are the ones that are within the past year or those that are large. If you have problems paying your debts there are some things you can do. One thing to do is to contact your credit card companies to find out if you can have lower monthly payments. Another option is to obtain a consolidation loan that will repay your most expensive credit cards. Pay off the cards that have the highest interest rate first. This will leave you with one monthly payment rather than several. The payment will be more affordable so you’ll be able to make the payments on time. If you have any items that have been sent to collection agencies these will show up on your credit report. Check these to make sure they are legitimate. Make a list of all items that you owe to collection agencies and make a schedule to pay them. In many cases the agency will agree to take a lower payment if you will agree to pay it immediately. This can greatly reduce what you owe and will get the item resolved from your credit report. 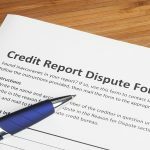 How Can I Remove a Judgment From My Credit Report? If you are trying to apply for a loan to purchase a home or a car, you might be getting stopped by your credit rating. A bad credit rating can cause you to be declined for loans and sometimes even jobs. However, there are ways that you can fix bad credit. The best way to solve your credit problems is to learn some good credit habits. However, this is a very slow approach to solving your credit problems. 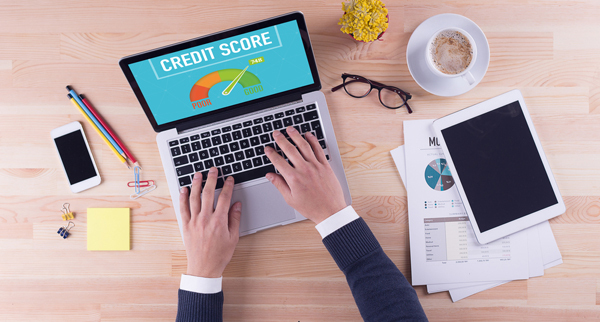 Luckily, with the right software and expertise, you can learn how to examine your credit score so that you might be able to go in and make some very important changes that could help you fix your credit right away. One thing that might be causing your credit score to be high is a judgment on your credit report. When you have a judgment on your credit report, it means that you have undergone a court case and a judge has ruled that you must pay back your credit debt. It is never a wise idea to let your credit get so out of hand that you need to go to court. However, sometimes these things are unavoidable. If this has happened to you, you will need to learn how to remove a judgment to fix your bad credit. The very first thing you should know is that you are never alone when you need to fix bad credit. There are plenty of ways that you can get the help you need to handle the complicated and overwhelming problems that come along with bad credit and a judgment. First of all, you could consider contacting an attorney. However, attorneys can get very expensive. Secondly, there are software programs available to help you understand how to handle and potentially remove a judgment from your credit report. Once you have undergone the process to fix bad credit, you need to know how to keep your credit in good standing in the future. The best way to do this is to reserve your credit card for purchases in emergency situations or for expensive items that are completely necessary and that you can afford to finance over time. You should also always pay your bills on time and meet the minimum payment requirements. Lastly, do not open many credit cards. Managing many credit cards at one time is overwhelming and sets you up for disaster. By following these rules, you should never have to fix bad credit again. If you have ever applied for a loan and been denied, you may be wondering what exactly happened. Chances are, your credit score is not what it should be. It is very common for credit scores to get a little out of hand. When you do not know how to properly handle your credit situation, it may get out of your control. However, credit scores are not permanent. There is a way that you can improve credit so that you will be more eligible for loans and other financial benefits in the future. 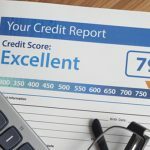 By following certain procedures, you can get your credit score back on track an keep debt collectors from calling your home. One way to improve credit and stay away from debt collectors is to always make sure that you meet your payments on time. You need to make sure that you pay them before the date that is listed on your bill. Being even one day late on your credit card payments can have a very serious and detrimental effect on your over all credit score. When you are consistently late with your payments, your score can become even worse, rendering you unable to take out important loans. Another thing to remember when you are paying your credit card bill is to always make sure to pay the minimum payment and, if possible, more. Keeping up with your payments will start to improve your credit right away. Next, to improve your credit you should seriously watch the way that you use your credit card. A lot of people have a tendency to use credit cards for items that they want but do not truly need. As a result, they can rake up debt on a lot of expensive items that never needed to be purchased in the first place. Remember that owning a credit card does not mean that you can afford everything that you want. You need to take the time to consider your budget more carefully. Improve your credit by refraining from frivolous purchases and using your card for important and emergency purchases only. These practices will help you keep debt collectors away. If your credit has reached the point where you have debt collectors contacting you, however, you need to take action right away. There are some things that you can do to keep debt collectors from hounding you. If a debt collector calls you, remind them that you have rights. Ask them who they are calling for, where they are located, and then send a letter to their agency demanding them stop. If you continue to be harassed, you might even be able to sue. When you have a poor credit rating you’ll have trouble getting a loan, credit cards, and possibly even a job. It can take a long time to raise your credit score. There are some things you can do now to begin the process of improving your credit. Your credit score is tabulated using a complex mix of your payment and credit history. If you have been late in making payments it can lower your score considerably. In order to raise your credit score you’ll need to make an effort to make all your payments on time. This includes all your credit card payments, loan and mortgage payments, and utility payments. If you have overextended yourself and are unable to make all of your minimum payments you’re not alone. Many people are in debt with no way to pay it back properly. If this is the case for you, consider taking out a consolidation loan. The best time to take a consolidation loan is as soon as you encounter difficulty. The longer you wait, the worse the impact will be on your credit score. A consolidation loan will pay off your credit cards in full and provide you with one easy monthly payment. Since the credit cards will be closed, you’ll save lots of money that you would have paid on future interest. It can be helpful to hire a professional credit repair company to help you raise your credit score. They know the best tips to get your finances moving in the right direction. The expert will also assist you in reading your credit report. They will find what is causing your score to be lowered and give you suggestions for how to bring up your score. They can also work with your creditors to legally reduce the amount of money that you owe. Increasing your credit score can take time and effort but it is worthwhile. Once you are able to improve your credit you’ll be able to get lower interest rates, better loans, and will be approved for other credit as well as employment. Make a monthly budget that you can live with. A budget will give you a better idea of your income and spending so you can make the necessary adjustments in order to live within your means. This will help you regain control over your finances and help you add more points to your credit score. If you have found yourself in a financial mess that has caused your credit score to plummet, you need to take some measures to get your score back to where it should be. You may be in credit card debt or have high student loan debts, a divorce, a judgment against you, or some other difficult situation that has caused you to have a low credit score. Here are some options that you have to raise your credit score quickly and easily, usually within a few months. If you want some one on one, personal attention, contact a credit counseling service that can work with you and your creditors to consolidate your debts. You will be able to pay your debts down much easier because they will be lumped into one payment and you will not have to worry about paying late or over limit fees any longer. This method can get your credit repaired within a few short months. You can also get affordable, yet effective and easy to use credit repair software. This type of software helps you to plan out a budget and learn more about the credit scoring process. You will be able to view your free credit report with this software and will be able to see if there are any errors in your report. You can then use the software to send letters that are certified and documented to your creditors, disputing these errors. This type of software can help you immensely in your fight to raise your credit score. Another way to raise your credit score is clear up items on your credit report on your own by making goodwill requests. This is when you ask your creditors to remove late payments from your credit report as an act of goodwill because you have been a loyal customer and want to keep working with them for a long time. Creditors want to keep your business because without consumers they would not succeed. They will most likely respond positively to your request and will remove some or all of the late payments that you have made from your credit score. You can also call creditors and ask to have minimum payments or your interest lowered to make monthly payments more manageable and able to fit into your budget. You can improve your credit score greatly within a short few months if you follow some of the steps above and continue to work hard at paying off your debts and paying them on time. You do not have to have a bad credit score forever and there are many ways that you can improve your score for good. If you are like many people around the nation today, you are trying to find a way to fix your credit before you lose even more money. Some people do not realize just what a huge factor their credit score truly is. It can affect many areas of your life, and a poor score can start to bleed away your money in high-interest rates and fees. Here are a few of the ways that bad credit is draining your bank account, as well as something that you can do to stop it. The best credit cards with the best rates are not going to be in the hands of those with bad credit. If someone with poor credit is even able to get a card, it will usually be what is known as call a subprime card. These will have setup fees as well as recurring fees each month. They may even have a setup fee, and sometimes they require cash deposits. In addition, they have low credit lines. Some people get these cards believing that making payments on them will help them improve their credit score. You have to be careful if you do this for a few reasons. First, you do not want to overspend on the card, and you do not want to miss payments. Second, many of the companies offering these cards do not even report the positive and on time payments to the credit bureaus. You are simply spending more money on a card that is not doing you any favors. Another area where bad credit can get you is in the realm of auto financing. If you want to buy a car and you have damaged credit, you can expect rates of around 20%! Those who have only fair credit will likely have rates around 14%. Compare this with the 10% or lower rates of those who have great credit and you can see why it is important to improve your credit. You could be wasting thousands of dollars on your car loan. When you consider the home mortgage for someone with bad credit, the news is even gloomier. Losing tens of thousands of dollars, and even more than a hundred thousand because of high rates is possible. Start taking steps in the right direction and repair your credit before you try to get a loan. If you already have a loan, fix your credit and then try to refinance with a better rate.